I have always loved the look of cameos. The Victorian charm of the silhouetted ladies has always spoken to me. I have been back and forth for some time now on adding a cameo line to my shop, and finally, once I discovered the wide range of designs and colours available in cameos, I could no longer resist. 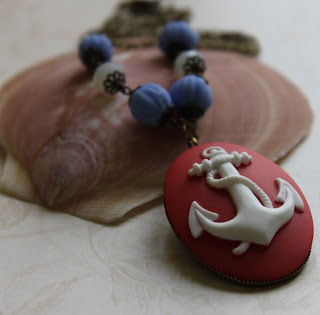 This cameo anchor piece is the first one to go live in my etsy shop . 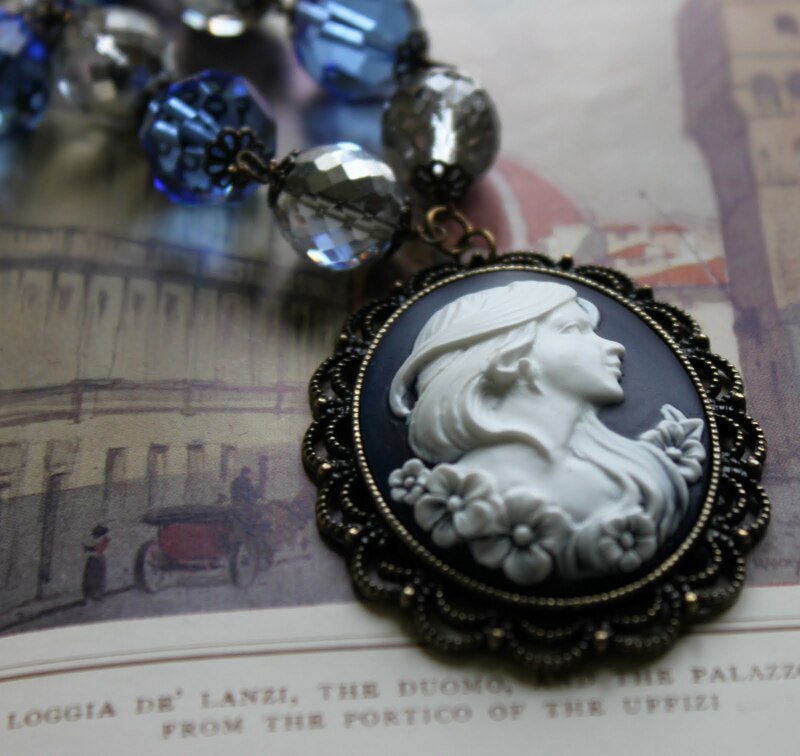 This more traditional style cameo will be appearing in my shop soon. And many other styles will follow shortly thereafter. Keep looking. ah I adore cameos, especially classic looking ones, gorgeous. AAAH! These are so pretty! !